I wanted to get some baseball players up on the page this week with the opening of a new season, but from what I know way more about movies from the 1980’s than I do about baseball players. So here’s one from the last few years. 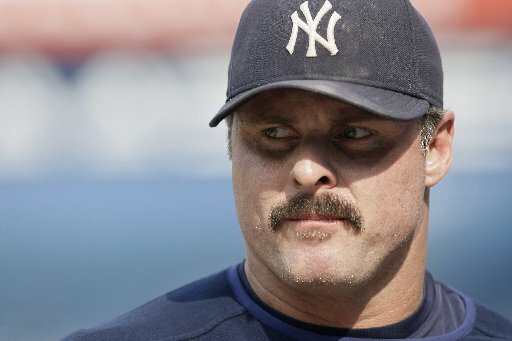 Jason Giambi proves that with hard work, determination, and the will to cheat, you can succeed in this world. This entry was posted in Sports Steesh and tagged Baseball, Jason Giambi, MLB, mustache, Steroids on April 6, 2012 by Los Bulls. 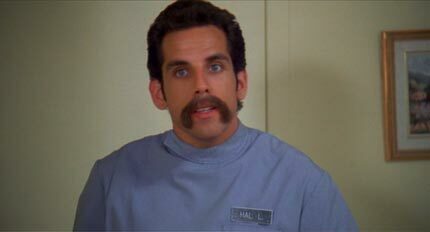 Ben Stiller as the not-so-orderly orderly in Happy Gilmore. With that mustache he’s the right mix of “friendly neighbor” and “i’m going to kill your elderly loved ones”. This entry was posted in Celebrity Steesh, Movie Steesh on April 6, 2012 by Los Bulls.